The range comes in four fabulous fragrances; Apple Fizz, Lemon Burst, Pink Blush and Orange Crush, with vibrant colours to match their fresh and fruity aromas. 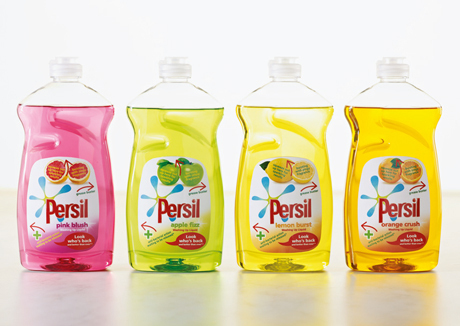 Persil, knowing my love of all things wonderfully smelly sent me all 4 to try. This was good -I HAVE to wash up and I like nice smelling washing up liquid - but it was also bad - I also wanted to drink said washing up liquid! Yes, it smelt good enough to eat in a strange pregnancy craving kind of way. I AM NOT PREGNANT BY THE WAY!!! Yes I've tried all of them - they are all delicious and make the dull, monotonous task of washing dishes a little better than usual - plus they are antibacterial... BONUS! Anyway I love them and to celebrate I'm giving away 2 sets of these fabulous fruity washing up liquids.